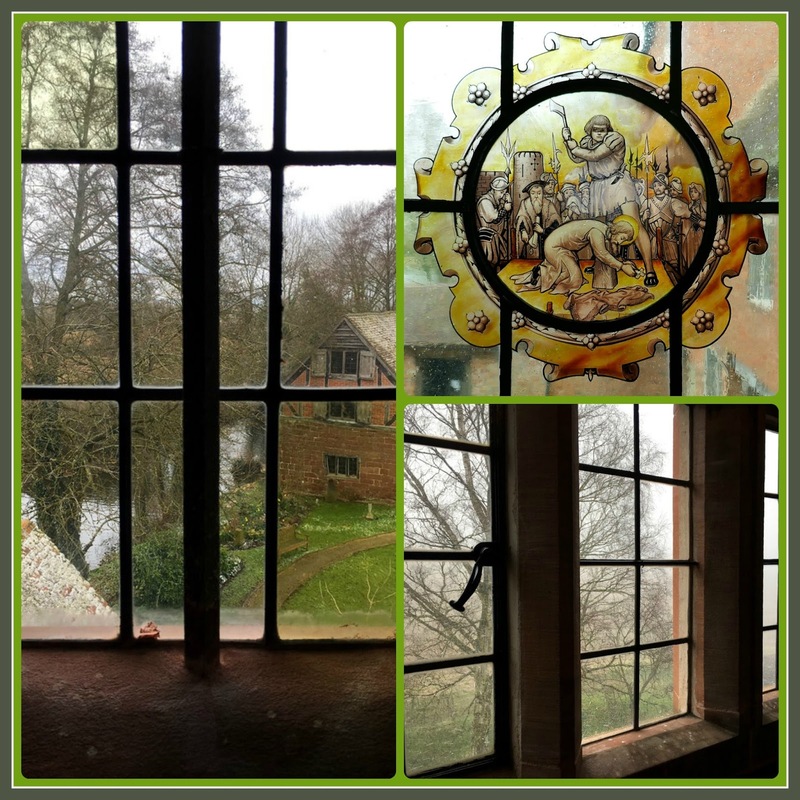 Normandy Life: Mosaic Monday # 77 - Harvington Hall, an Elizabethan Manor House. 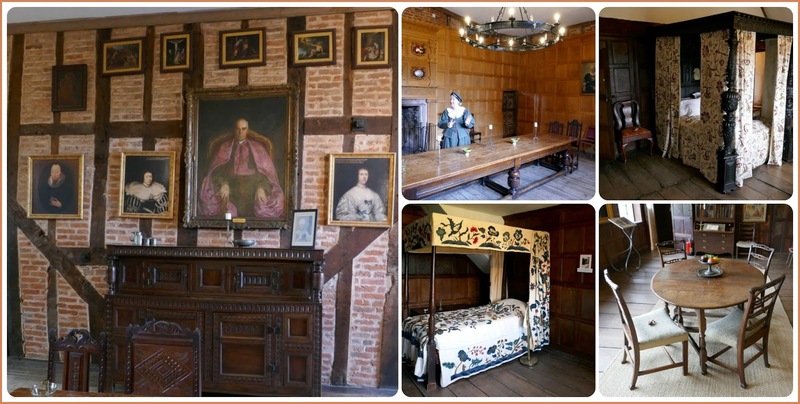 Oh how I love to visit historic homes in the UK. Always something interesting to learn ... I did read the additional information on the priest hides ... very clever construction! And you'll be happy to know that, in our house, we always put on the jam before the cream!!! What a lovely place! Historical place is always important and full of interesting to see. 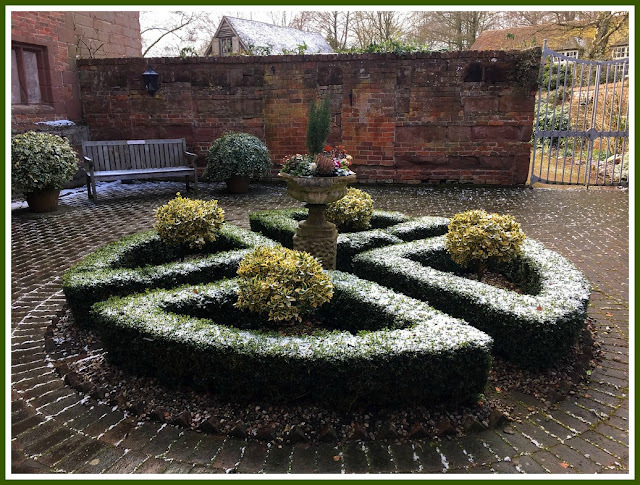 Harvington Hall with the garden is so beautiful.I love all of your photos of them. Incredible, Maggie! If those walls could talk. The moat (?) or stream of water around the structure...how does that play in? 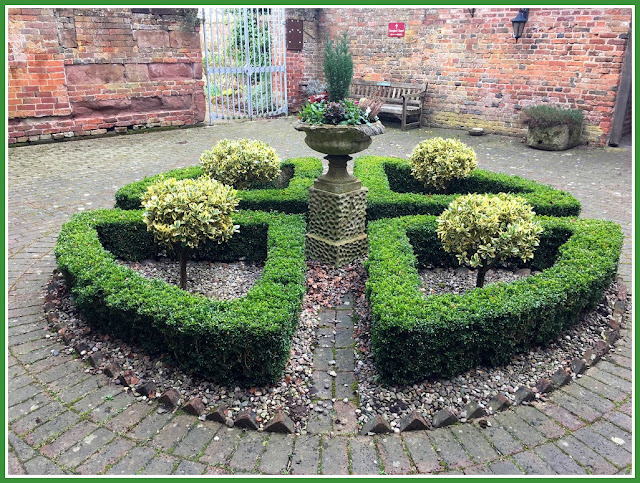 The clipped hedge garden is perfection to me, I love boxwood and a manicured garden. I enjoyed the photos and history so very much. Such a picturesque place and your dinner sounds delicious. Wishing you a wonderful week. Maggie, I watch a TV show called Escape to the Country where folks move to the English country side and this manor was a reminder of the show. Love the tea but not the snow. Have a great week. Sylvia D.
I’ve read a bit about priest hides (generally in novels, but those authors wouldn’t lie would they?). But I am definitely going to your link just in case...thanks for providing it. The Hall, inside and out, is beautiful...wonderful tour...I love that the docent dressed as a servant....they really were the ones who kept those places going back then. And oh yes, it would have been terribly rude to bypass the cream tea ). 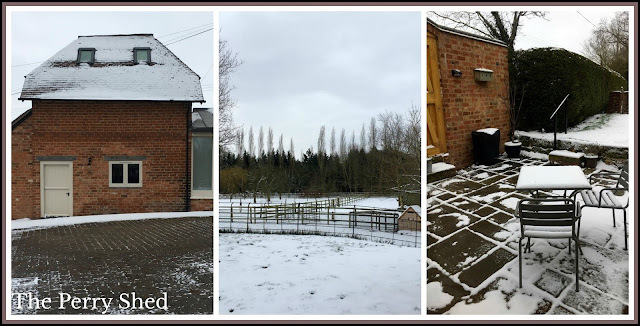 I thought of you when I saw something about the late winter snows there, but it sounds like you are as cozy as can be in your home away from home. Thanks for hosting from there! What a delightful place this is, Maggie. The British do history well and most of the stately homes/museums/historical sites are well-maintained, well-loved and wonderfully curated. 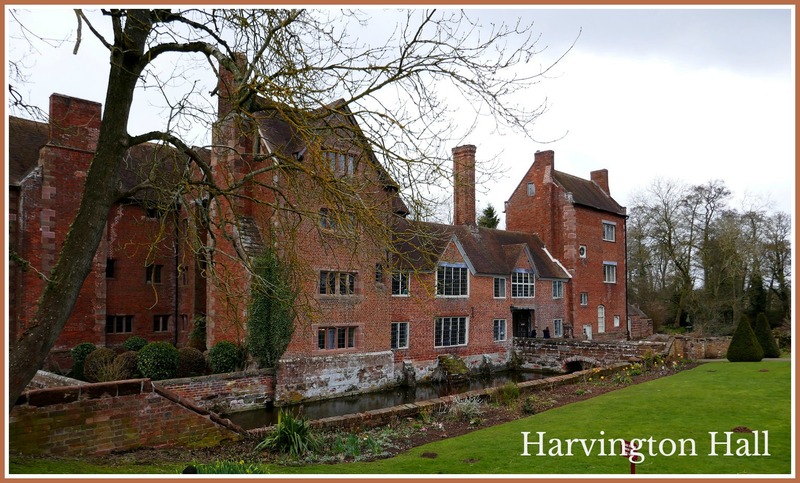 Looks like Harvington Hall is definitely worth a visit! I love places like this with docents. So much wonderful history. So much to learn! Thank you for hosting, too! What a beautiful and interesting place to visit! I will definitely return to read more about it on the links you provided. 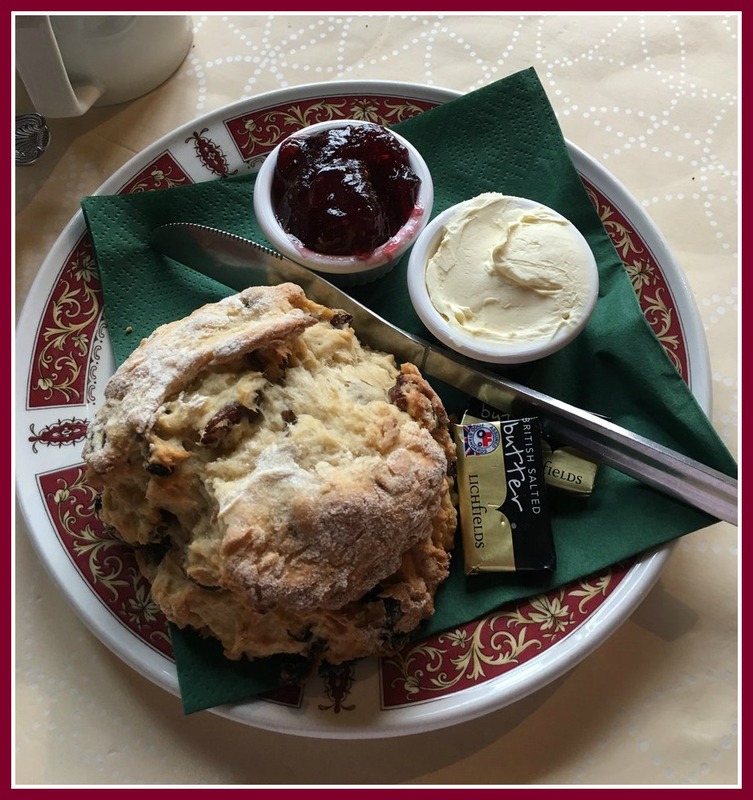 I love scones and always ate them with jam first, cream second. It was a surprise to see snow in your photo. We had four inches of snow last night--we really needed the moisture as it has been very dry! Sounds like an exciting time travel! And the toasted teacake and tea...yum-yum-yum....Thanks for this historical post and for hosting this week's MM. Oh Maggie, places like this are why I want to get out in the countryside of England and while I adore London, not just stay there. This is really terrific -- a beautiful home. And I agree on the scone debate. (Actually, I can pass on the cream but it can be so delish!) I will have to check out their website. I have no sense of lay of the land here! oh I would love to visit this place. There is nothing like this in Australia. And yes, jam first, and then cream on top. And jam will do! Have a fabulous holiday and thank you again for the link up. 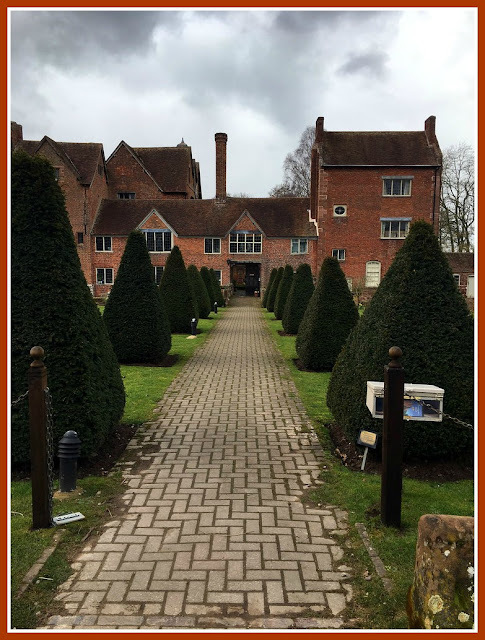 I was so taken with your descriptions of your visit to Harvington Hall and seeing all the details and then followed your link to see more that I forgot to join in last night. Thank you Maggie for your 77th Mosaic Monday. Hello and thanks for the great post. 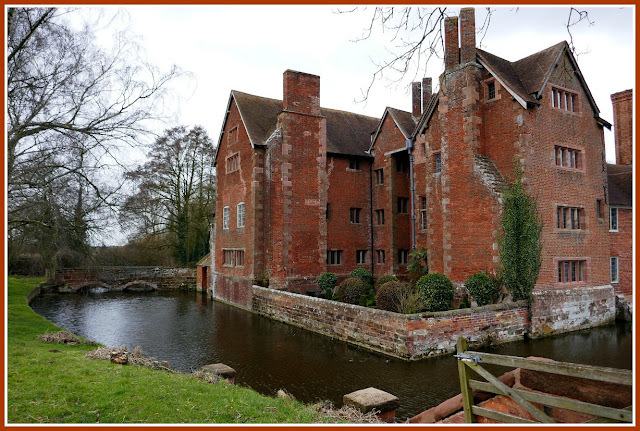 I am watching the restoration of Stoke Hall on youtube and enjoying the shows greatly. I have never heard of priest hides-so nice to learn something new and see how these were incorporated into the architecture. I have also read that the earliest written mention of the jam/cream debate states cream and then jam on scones. I grew up with jam and then cream but now do the opposite. Don't think it affects the taste except I now use more cream. All good fun! 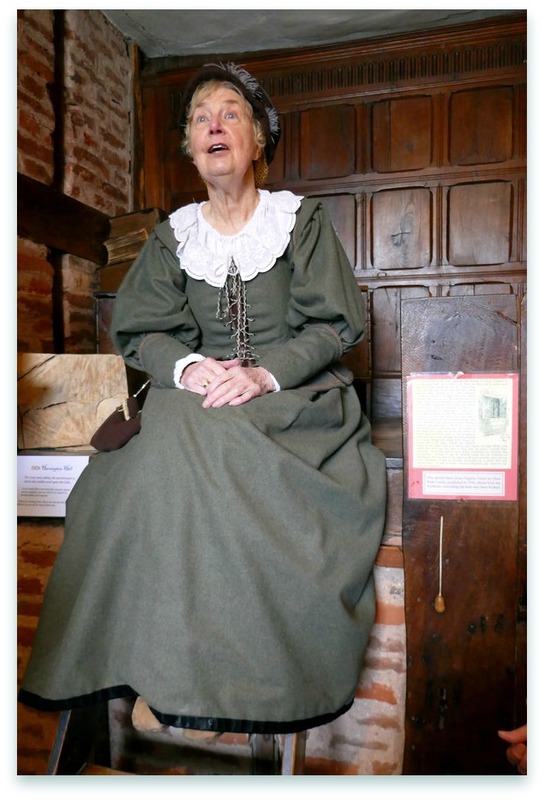 You visit some of the most fascinating paces Maggie. I just so much enjoy seeing where you have been and the images create a wonderful way of letting us sneak into the story. Oh and tea and tea cakes...or scones, or biscuits, for me, I like to slit them open a bit and slide in real butter, just a sliver at least and then top it with jams, or marmalade. I am upside down then when it comes to the proper way, but no matter what they are simply divine. Have a wonderful week, doing something marvelous to share next time. Dear Maggie - I fell in love with Harvington Hall for its appearance both inside and outside and its interesting history. Staying at that kind of Manor House is one of my dreams. The super modern high tech stove” – I like it when modern facility and infrastructure is installed in the very old structures with patina of age. Only imagining the typical English Sunday lunch made my mouth water. Thanks for this tour with a wonderful narrative to really take us along with you. It’s amazing how religious strife of one kind or another crops up in historical accounts from any country you care to name.